Both L&D departments and education administrators tend to favor open source because it’s a great solution for learning when having the end user in mind. But whether a specific open source LMS is suitable to your needs can be influenced by a variety of factors: Does the LMS have a supportive online community? Is it compatible with third-party plug-ins offered by external developers? What’s the quality of its user interface? Is the software mobile-friendly? And what about eCommerce integration, reports, and analytics? Here, you can take a look at our updated list of the top 20 open source Learning Management Systems for 2019 and decide which of the following choices is the right fit for you. Read carefully. Community-driven, this globally supported effort makes one of the largest open source teams in the world. Moodle comes with a full kit of features that allow not only corporates but also educators to create a private learning space online, filled with tools that easily create courses and countless activities – all optimized for collaborative learning. Access learning at a touch of a button even when offline, thanks to the Moodle Mobile app. Available for both Android and iOS. Browse the extensive Moodle plugins directory for extra activities, blocks, themes, and more. Get support and share ideas, all in your own language. Experience how efficiently Moodle is globally supported and discover the value of an open, collaborative effort. Apart from the standard, free plan, there are premium options available, starting from $59 per year. Moodle is also no1 in our Top 8 Open Source Learning Management Systems list, it holds the 19th place on The Best Learning Management Systems based on User Experience list and is 16th among the The Best Learning Management Systems based on Customer Experience. For more information on Moodle, you can read the reviews here. An open source LMS that’s here to improve access to education. Backed up by the Chamilo Association, it aims at the maintenance of a clear communication channel and the building of a network of services providers and software contributors. Its features allow users to easily create content, as they’re offered tools for all types of learners. Chamilo has online mobile learning support available, making it easy for users to choose their own pace and place for attending courses. To get support for Chamilo you can turn to the online community, the knowledge base, or one of the several one-on-one options available. Intuitive language and media embedding settings are among the many options offered. No premium options available. Ask the vendor for more information. Chamilo holds the 15th place on the list of The Best Learning Management Systems based on Customer Experience. Here you can read eLearning Industry community members' reviews about Chamilo. The Open edX is a tool empowering learners to access course content, including videos and textbooks, while checking their progress in the course. The Open edX LMS has a discussion forum and a wiki that both learners and course team members can contribute to, whereas the latter can also use an instructor dashboard. The tool for building your courses, creating structure and then adding content. You can also manage the course schedule and the course team, set grading policies, publish different parts of your course, and more. There’s a discussion forum and the Open edX Insights – those are particularly useful as they’re part of the community structure and learners can benefit from interaction with experienced members. The Open edX community includes webinars, upcoming events, and blog posts. Open edX is 5th on our list of The 20 Best Learning Management Systems (2018 Update) and 8th on the Best Learning Management Systems Based on User Experience list. Read what other members in the eLearning Industry community say about Open edX. A corporate distribution of Moodle, Totara Learn delivers individual learning plans effectively and offers rich functionality which can be implemented quickly and with a significant cost reduction comparing to proprietary solutions. This award-winning open source learning platform is designed to help you develop, train, manage, and engage your staff. Fully responsive by design, the user interface will adjust seamlessly depending on the device. Mobile apps are also available through the partner network and can be extended or fully-branded to be in harmony with the way your LMS looks and interacts. Learning plans through which learners can monitor their progress and directly access learning activities. You can manage the process with approval workflows, comment boxes, and notifications. Combine instructor-led, self-paced learning, and social for a blended approach, all in a single course. Roles and permissions, course progression, and group-based activities give you all the flexibility you need. Totara Learn is no3 the 5 Top Open-Source Learning Management Systems in our list of The 20 Best Learning Management Systems (2018 Update) , no7 on the list of The Best 20 Learning Management Systems Offering An LMS Demo, and no13 on the list of The Top 20 Extended Enterprise Learning Management Systems. It also lands on the 13th position among the Best Learning Management Systems based on User Experience and the 14th position among the Best Learning Management Systems based on Customer Experience. If you want to find out what customers say about Totara Learn, take a look at the reviews here. An open source LMS that is free for instructors. It makes teaching and learning easier in terms of implementation, adoption, customer support, and success. It is adaptable, reliable, and customizable. With interface and features crafted to save you time and effort, this open source LMS is designed to get out of your way and let you do your thing. Over 300,000 Canvas users are involved in sharing, collaborating, and shaping Canvas. This LMS does what learners and instructors need it to do. Simple mobile use and a time-saver that gets adopted in growing rates. Its extensive, open API, published to the world, paves the way for third-party apps to plug right into Canvas, pulling and pushing its data. In-house Canvas experts are there to ensure the speediest, most frictionless interactions. You'll need to ask the vendor for a quote. Canves is on the 4th place among the 5 Top Open-Source Learning Management Systems in our list of The 20 Best Learning Management Systems (2018 Update). An open source, web-based, award-winning eLearning platform that grades high on managing and delivering online training courses. Forma’s design focuses on corporate training and it is made to fit your company needs and processes. Easy integration with any intranet software allows you to extend functionalities with a wide range of plugins. Forma is developed by a network of companies and backed by a strong and active community. Extensive reports can be exported through the built-in wizard in different formats and sent with the email scheduler. Native eCommerce functionalities with cart and PayPal integration. Easily integrated with any other system through powerful APIs and connectors. Check the latest reviews about Forma LMS. Focusing on the learner to improve engagement, mobility, and collaboration. The Effectus LMS is designed with you and your learners in mind, making it a comprehensive training management suite for business of all sizes. For the most part it has proven to be an incredibly simple and economical way to host, manage, and deliver training programs. Effectus incorporates features such as scores, badges, and leaderboards. Get access to rich data and customize reports to suit your very own analysis requirements – this way you measure the impact of training on your learners’ performance. An interface that is designed based on the latest research on User Interface (UI), User Experience (UX) and Interface Design for Learning (IDL) standards. Three options, starting from $129 per month and billed annually. Effectus holds the 17th place on our The Top 20 Extended Enterprise Learning Management Systems list. Wondering how others are experiencing the software? Read Effectus LMS reviews here. An open source LMS that is deemed to be powerful in developing web-based eLearning. With the goal of reducing the cost of using new media in education & training and ensure the maximum level of customer influence in implementing the software, ILIAS excels in allowing users to create, manage, and track learning, doing so through supporting SCORM 1.2, SCORM 2004, and AICC standards. Several ILIAS users have organized themselves in regional or national user groups to exchange experience and influence the further development of the LMS. System styles may be customized, allowing to bypass the default system style of ILIAS. There are also multiple substyles which can be active for different branches of the repository. To generate a customized system style, first install the necessary tools to your server. There are several ways and levels to get support and services for ILIAS: through the community forums, the feature wiki, the bug tracker, the direct email, and even the paid support by several companies. No premium options available. Free of charge. You can read reviews on the above features and the whole experience of using ILIAS LMS here. A web-based learning platform for teaching, learning, assessments, and communication. OpenOLAT has caught the attention of the market with a sophisticated and innovative modular toolkit, the capability to extend the initial installation, its architecture, and its simple and intuitive operation. All these result in offering course authors a wide range of possibilities. With an LMS that gives tutors the chance to tailor the system according to the need of their learners, you can create groups, run exams, contact users in numerous ways, and adjust personal settings. Tools such as forums, chats (group or one-on-one), virtual classrooms, blogs, podcasts, etc. make for an enhanced learning experience. Collaborative techniques and a series of ideas for exchanging knowledge are at your disposal. The people behind OpenOLAT take pride in the capabilities of this tool, which is not restricted to predefined structures. It has a preview feature, archive tool, decentralized user management, and many more to give you freedom in implementing any didactic concept. There two free and two paid packages, starting at $250 per month. These packages differ in the number of users and courses, disk space, data volume available, and other extras. OpenOLAT holds the 8th place on the The Top 8 Open Source Learning Management Systems list. For a more comprehensive look, you can find reviews on OpenOLAT here. This open source eLearning platform allows you to manage your online training and efficiently ensure that your students’, employees’, and partners’ skills are updated according to your needs. Opigno is designed for companies, corporations, and universities looking to become eLearning solutions that are flexible and easily scalable. This makes it possible for you to create engaging online training and thus manage in-house training and blended learning paths. This allows selling courses or subscriptions to classes. There is also time-based subscriptions management, meaning users can subscribe to one or several courses for one or several months, and renew the subscription at the expiration. Compliant with SCORM 2004, Tin Can (xAPI), and H5P, certified LRS: Learning Locker, Watershed, Apache Solr, LDAP (Active Directory), and CAS integration. Easily scalable thanks to its internal Apps Management System. Interactive chat with workspaces that allow to share asynchronous messages, files, and to-do lists. Capable as a live meeting solution with screen sharing, whiteboard, and recording capabilities. Opigno is among our Top 8 Open Source Learning Management Systems. For a broader image of Opigno, check reviews here. This is a full-featured application for rapidly developing web-based learning communities. 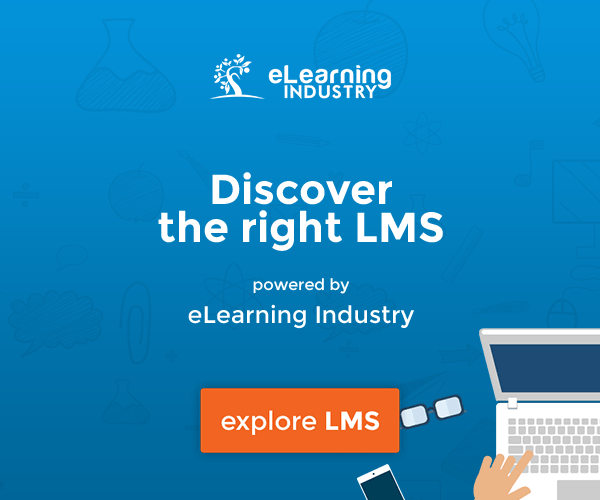 Capable of being customized to fit the needs of the individual learner, .LRN's LMS is a learning portal that suits you whether you are a corporation or a smaller education community, as it can be scaled to meet your learning needs. .LRN's core are the communities, where everything is represented as a group or community, whether it’s a class, sub-group within a class, or a community of interest. Providing a framework to create the most diverse scenarios for today’s online educational market. Options for customizing the layout, choosing the language, and setting the timezone for your class, as well as adding custom portlets, if desired. Individual users can personalize their own personal portal layout. No premium options available. There is no additional cost per user, demanded by the vendor. This is where you can look up for reviews on .LRN. Free open source web-based LMS that develops and delivers online courses in minutes. ATutor's functionality is easily extended with feature modules. It helps educators in assembling, packaging, and redistributing standardized web-based instructional content. Users have created add-ons to ATutor LMS such as AContent, a content management system, and ATutor Social, a networking component. A fast and easy way to install or upgrade, as it doesn't require much technical knowledge. Even so, support is available through the website if you need help installing or upgrading. Administrators can install, enable, and disable modules, define a default set, and create menu blocks for new courses. Among these, there are fully integrated feature extensions or third party add-on software. Easily search through text to quickly find and customize interface, feedback, and module language. All languages are available in UTF-8 and courses can display multiple languages at the same time. ATutor is no2 on our list of Top 8 Open Source Learning Management Systems. This is where you can check for ATutor reviews. This piece of software enables you to network your learning platforms and other educational programs. Share learning content, metadata, and tools, make them available in an educational cloud, and let your users use them in all connected systems. Collect and arrange content using a mobile device; in your browser, using the app, or while taking pictures. Take advantage of the eLearning systems of your partners, as Edu-Sharing networks your infrastructures. It can be described as a cross-organizational exchange of content & tools, cloud storage, and tool integration, for both learning environments and authoring tools. Connect sources with quality content to enable teachers to find objects from their own cloud storage and connected sources of content of Wikimedia, YouTube, or Serlo. This is where you can look up for reviews on Edu-Sharing. With the primary focus being set on training, engagement, and analytics, the LatitudeLearning LMS delivers effective training projects for the employees and associates of enterprises, channel networks, franchises, dealerships, and other affiliates. Latitude's suite of products is SCORM conformant, thus providing an easily accessible content library. A program ensuring your training operates efficiently, with swift solutions to your concerns, check-ups, and updates being part of the schedule, plus administrative support to paying clients. A more refined approach than the one-size-fits-all, MyLMS brings understanding for unique business models that have made channel organizations successful. Rest assured there will be no need to compromise on your philosophies and workflows. An asset that makes it easy to manage training for individual groups, as well as tailor-made eLearning for users by location. The LMS Administrator can place students into individual groups based on any criteria you decide. Pricing options range from free to paid. LatitudeLearning also holds the 17th position on our Ultimate List Of Cloud-Based Learning Management Systems (2018 Update). You can check for reviews on LatitudeLearning, here. 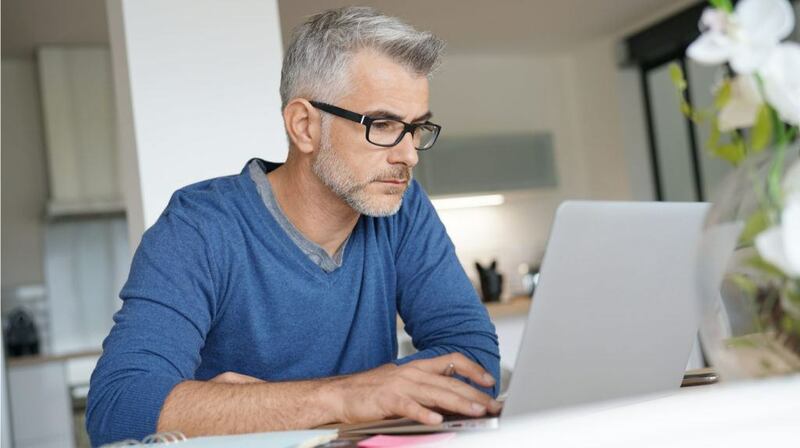 Taking the LMS concept far beyond providing digital training content, the Nera LMS uses the edX infrastructure supported and used by many international organizations such as MIT, Harvard, and Microsoft, and gets you to the next generation of eLearning. A cost-effective solution with a model that allows you to pay as much as you use, Nera also meets your needs for customization and software according to your requirements and demands. With integrated analytic tools, Nera allows you to follow and report your digital education processes from overall, as it offers you a transparent training process. Reduce your company's digital training costs and resources with digital trainings that does not depend on location or timing. The EdX-based infrastructure provides globally competitive digital training infrastructure and presents your organization with the gold standard in digital education perspective. Read the latest reviews about the Nera LMS here. This is a ground-breaking compliance solution based on the market-leading Totara Learn. It allows your enterprise to deploy and manage risk assessments, policies, mandatory training, and supervisory frameworks such as appraisals and performance management. The NexusComply system also manages and automates compliance and can help measure behavioral change. A powerful report builder which enables administrators to modify a set of pre-built reports or quickly and easily build custom reports from scratch. NexusComply integrates with systems already existent. Streamlined, with Single Sign On standards, it allows for an improved user experience and accommodates custom system integration through web services, using protocols such as REST, SOAP, XMLRPC, JSON, and AMF. The concept of bespoke eLearning is to provide your learners with an authentic experience that is created just for them using your company culture, brand, and tone to deliver an engaging, interactive experience. Two cost effective LMS solutions are at offer: the Learning Nexus VLE (Virtual Learning Environment) which is a Moodle-based platform, or the sophisticated learning management platform. Reviews on NexusComply can be found here. A mature LMS—developed in 1999!— which is hosted by the Department of Information Technology of UZH and shared with the Open Source community all over the world. OLAT’s development focuses on the Tertiary Education sector; extensions, add-ons, and plug-ins are designed and implemented in close cooperation with the Swiss academic community at universities and higher education institutions. Development and operations rely on adaptive planning and evolutionary engineering by a cross-functional DevOps team. Relevant processes are optimized, with focus on reliability and safety in large installations. EPIS 2.0 is developed for preparation and performing of assessments so that they can be easily organized, using data synchronization. On-site support is powered by a control system for admission and submission. This is where you can look up for reviews on OLAT LMS. Designed to help businesses create and share awesome learning experiences with staff and extended partners, Opentute is an open source, cloud-based social learning platform, inviting you to grow with it. Experience how better it is to learn with immersive collaboration tools and fully functional social media in your own private network. Giving added value to clients and community by selling courses and monthly channel memberships. Increase engagement by bringing a holistic approach to communication and learning. Customize your theme & branding and share & interact with learning posts. Grow your team and build groups and channels so that the whole learning process becomes collaborative. Tailor-made plans starting from $40/month. This is where reviews on the performance of Opentute can be found. An award-winning Learning Management System, Percolate is a cloud-based learning platform with powerful features that caters to savvy entrepreneurs, small businesses, and mid-sized organizations. Along with its clean design, user-friendly interface, flexibility to customize, you’ll appreciate the great customer service. If you want to reach your learners wherever they are, Percolate's fully responsive design allows you to offer training that can take place on any mobile, tablet, and desktop device. How about customizing and launching training in minutes, not months? This feature allows you to quickly store, manage, and organize all your learners and important content with easy-to-use customization tags – or use your tags to instantly generate custom drill-down reports. Author your own training, quizzes, and surveys with the built-in course creator. With percolate, you don’t need to be tech-savvy to upload digital content and easily create courses and learning paths. Pricing options include the Basic Plan for $19 per month and the Premium Plan for $139 per month. Check the latest reviews about Percolate LMS here. Following a fundamentally different approach, the direction and features of Sakai originate within Higher Education to address the dynamic needs of the global academic community. A structure that highly values the participation of its contributors, with educators and developers from various institutions working for the common cause of turning great ideas into reality for the entire community of Sakai adopters. Sakai invested in open standards like IMS Learning Tools Interoperability (LTI). It's capable of seamlessly integrating unique, powerful new functionalities into the next generation of digital learning environments. With a wide-ranging suite of features, Sakai provides all the necessary for instructors, students, research investigators, and project leaders to succeed in their online initiatives. Discussion capabilities, announcements, messaging, file management, assignment delivery, assessments, and more. Completely redesigned so that its powerful new capabilities can be provided through a clean, modern design, Sakai features a number of functional enhancements framed by a responsive, iFrame-less tool structure. Check for reviews on Sakai in eLearning Industry’s directory.